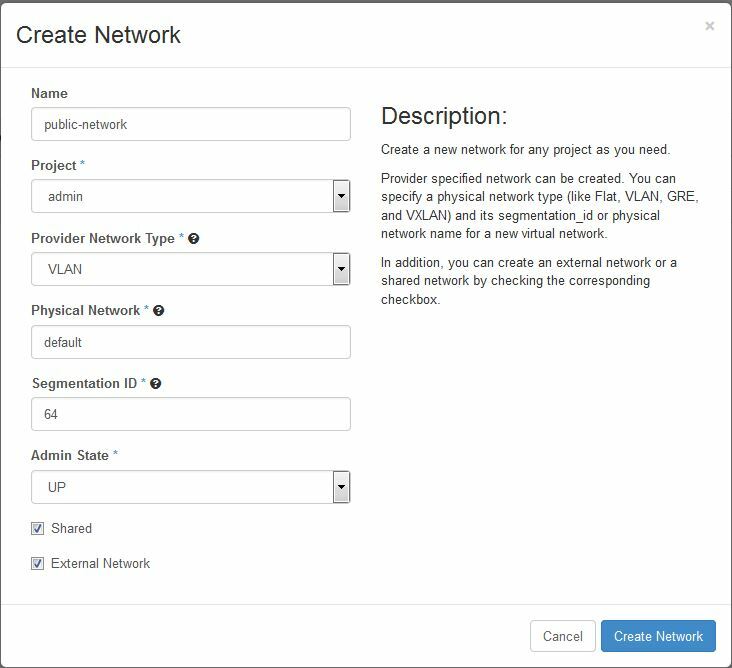 Currently, only local and VLAN “Provider Network Types” are supported by the Nutanix Openstack drivers. In the screenshot below, I am creating a segmented network (ID 64), named public-network, in the default admin tenant. I specify the network as shared and external. 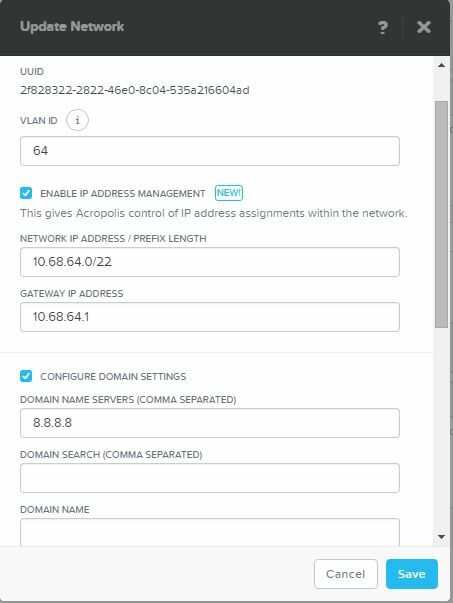 Do not use a VLAN/network assignment that has already been defined within the Nutanix cluster. 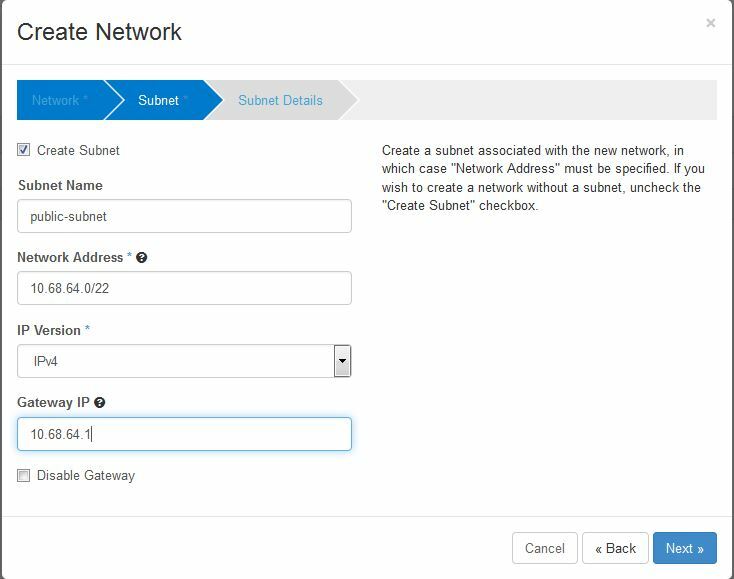 Any network/subnet assignment should be done within Openstack using network parameters reserved specifically for your Openstack deployments. When creating a subnet, you must specify a DNS server. Once a network has been configured and you decide to add an additional cluster. That network will not be extended across the new cluster. You have a choice, you can either add a new network. 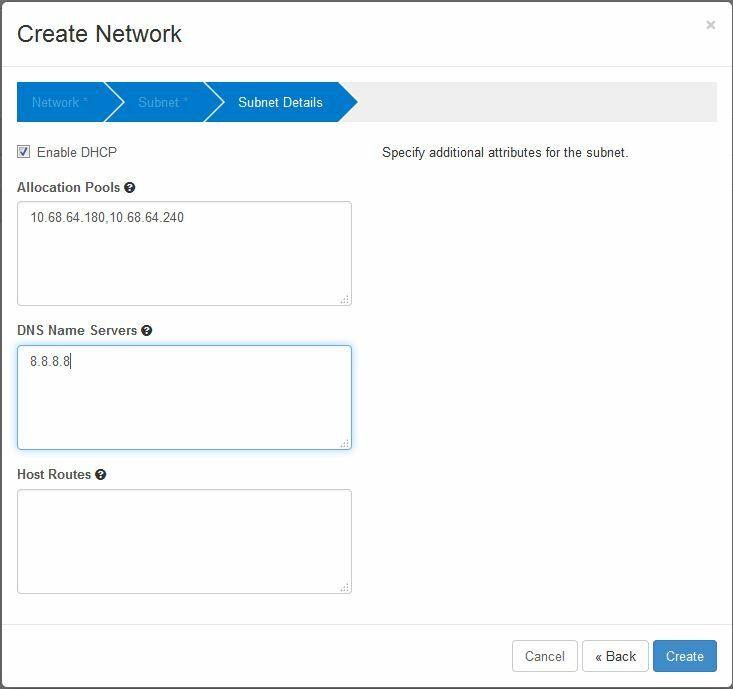 Or, you can remove the network and re-add it so that it gets created across all the currently configured clusters. Now that we have a network configured we can look at setting up cloud instances to run on it. To do that we need to set up the Glance Image Service and that’s the subject of my next post. This entry was posted in Acropolis, Cloud, Docker, Openstack, XCP and tagged Acropolis, all-in-one, Allocation Pool, DHCP, DNS, gateway, Horizon, Nameserver, Network Toplogy, neutron, Openstack, Openstack Services, OVM, ovmctl, physical network, subnet, VLAN on 4th April 2016 by Ray Hassan.